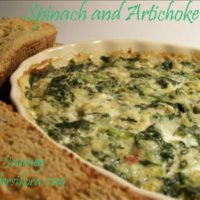 I am a big fan of spinach and artichoke dip. 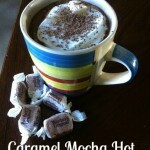 I had my first taste of it at a women’s luncheon. 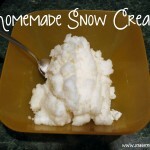 I turned my nose up at the thought of eating anything that was green, but when I took that first bite, I was hooked 🙂 After trying that delicious recipe, I knew I was going to have to make it. 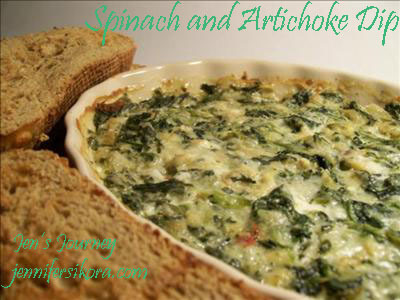 Today for the SRC challenge, I decided to make The Tasty Cheapskate’s Hot Spinach and Artichoke Dip. 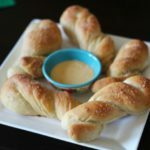 I did not change a thing when making this delicious appetizer! More than anything, I can make this my entire dinner — what about you? Beat cream cheese and mayo. Mix in garlic, salt, and pepper. Mix in cheeses. Mix in artichoke hearts and spinach. Bake at 350 for 20-30 minutes until the edges are brown and bubbly. Warm dips are great for the fall and winter time. If you are at a women’s gathering, bringing this dip will definitely put you at the top as someone who makes delicious foods! 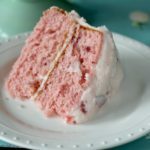 They will be calling you to make something scrumptious every single time! What have you made recently that you are proud of?